Greg Rikaart Addresses His Y&R Exit--Get the Details! Some memories Greg Rikaart cherishes from his time on The Young and the Restless. Greg Rikaart took to social media to offer his thoughts on his shocking departure from The Young and the Restless. An industry publication, TV Line, broke the news, as yet unconfirmed by Y&R, that the show won’t renew Rikaart’s contract as it comes up for renegotiation soon. Related: Y&R opts not to renew Greg Rikaart’s contract. His last episode on the CBS sudser will be in August. Thank goodness we get three more months of Kevin, right, dear Soap Cities readers? Also, Kevin won’t be killed off, leaving the door open for his return. 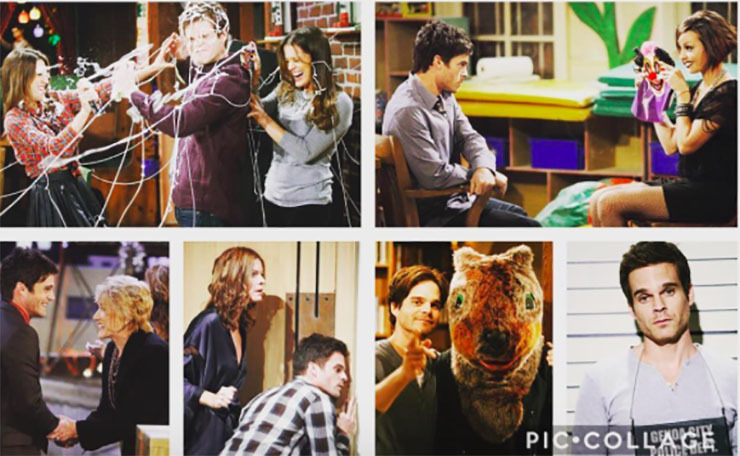 Rikaart posted a photo collage of his time on Y&R to Instagram along with a lengthy comment. See the full post below. Also: The best of the best at the 44th Annual Daytime Emmy Awards. “Playing Kevin and watching him evolve over the years has mirrored my real life in so many ways. We both found love, both became dads, and we both have more gray hair now than we did in 2003. I have such love and fondness for the cast and crew of Y&R that when I watch Kevin enjoying himself in scenes, it’s hard to know where he ends and Greg begins,” wrote Rikaart. He also honored his fans. Don’t Miss: Who do you think Devon should be with on Y&R? “I cannot overstate how much gratitude I have to all of you who have been such loud cheerleaders for me. You’ve all enriched my life. So stick around. The journey is just beginning :),” he wrote. Previous ArticleThe Bold and the Beautiful Spoilers, Friday, May 5th: Ridge Is Relentless! Next Article GH Star Kristina Wagner Looks Like This In a Bikini–and She’s 54! Not happy about this at all!!!!! I’m so sorry Greg Rikaart!!!! Clearly CBS has no more brains than ABC.